The Holbrook & Manter team continues to grow with the addition of Zac Anderson. Zac joins us a staff accountant. He is a native of the Cincinnati area and a graduate of The Ohio State University with a degree in business administration with a specialization in accounting. 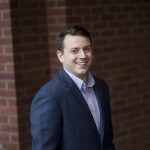 Zac’s professional background includes serving as an intern with Deloitte and the Ohio Department of Taxation. He also previously worked for Kimball Midwest in Columbus, Ohio. He is excited to be returning to public accounting and looks forward to providing excellent service to H&M clients. Zac and his wife live in Upper Arlington and they enjoy exploring the city and trying new restaurants. He loves the outdoors and enjoys activities such as hiking. Welcome to the firm, Zac!